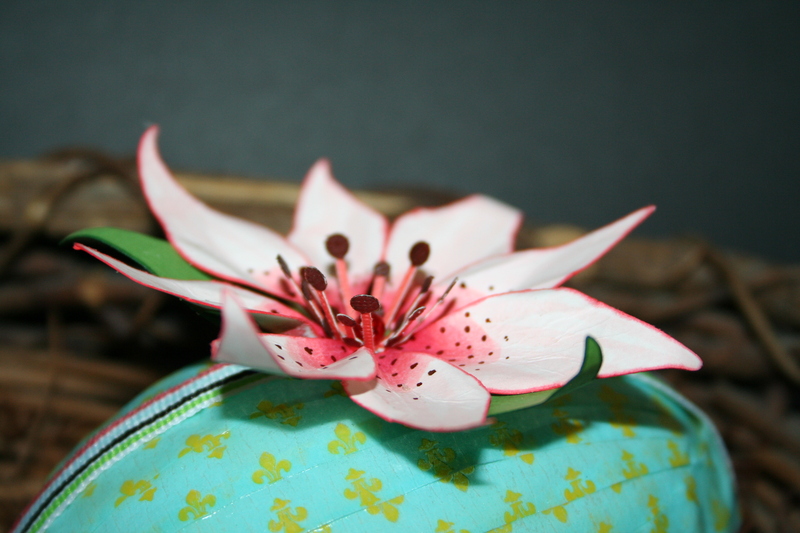 I am a member of the Cricut Circle and this month they are having a challenge involving Cosmo Cricut. 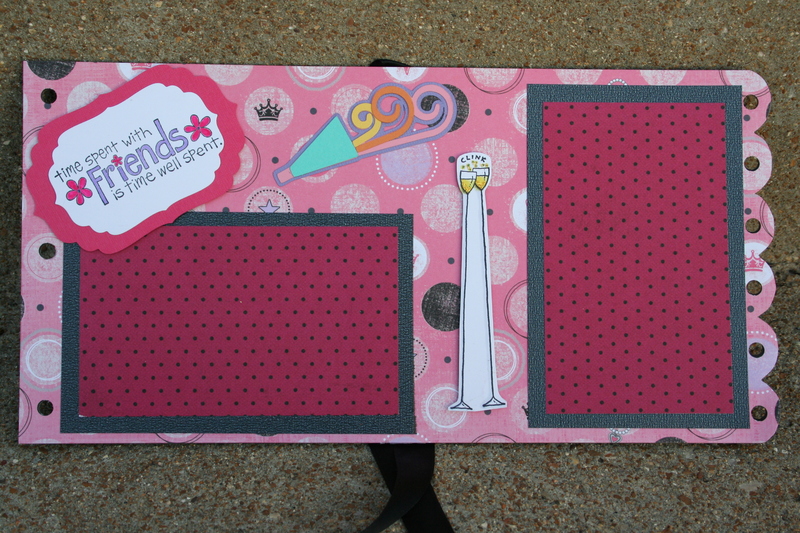 I needed to use 2 Cosmo Cricut products, 3 cricut cuts and a cuttlebug folder. 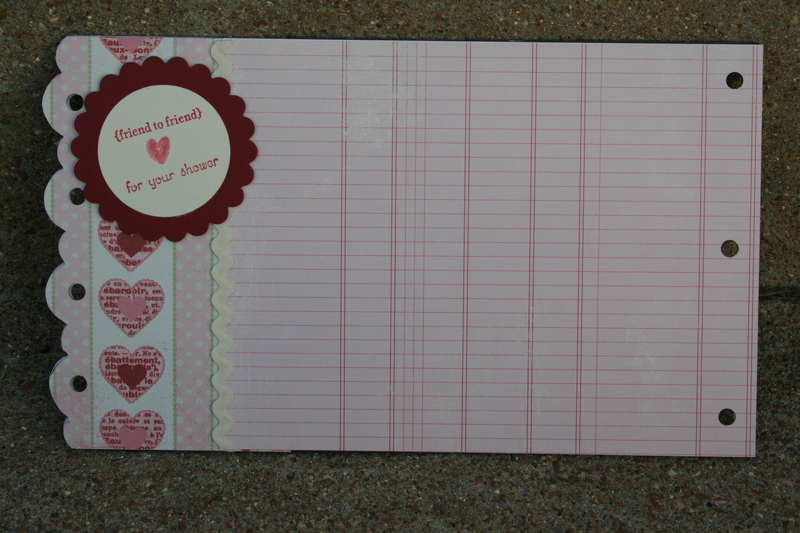 I used the Cosmo Cricut Garden Variety paper, which inspired me. 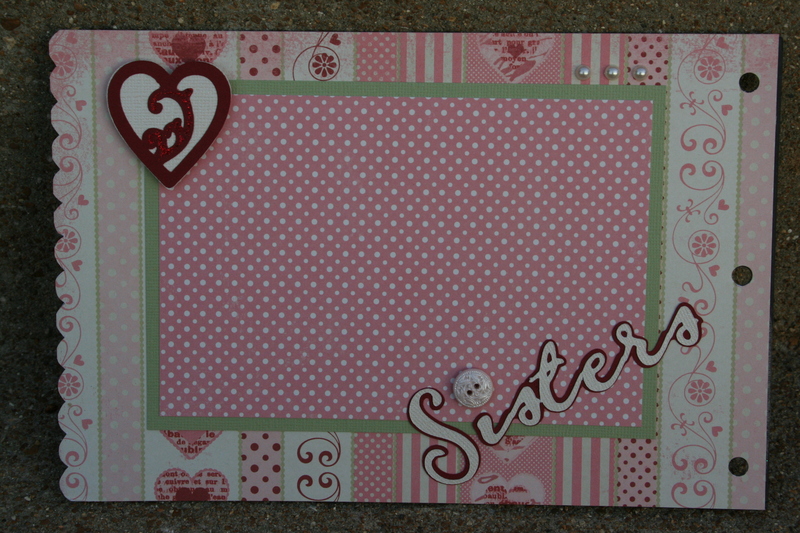 I didn’t want to do a card, and I have no idea how to do layouts. 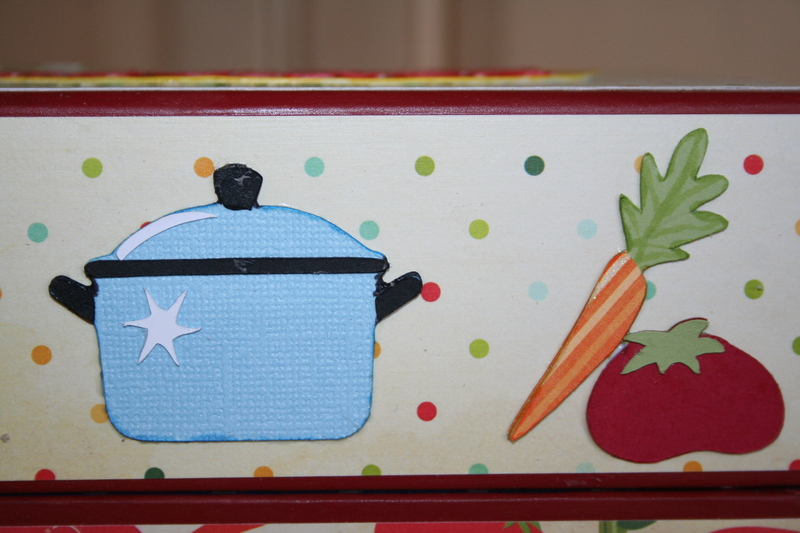 So….a recipe box. 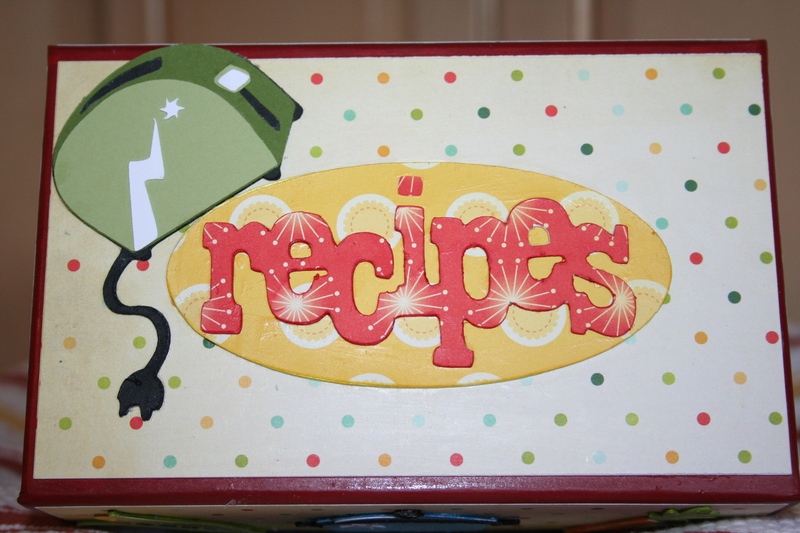 I used From My Kitchen cartridge to cut out the vegi’s, toaster,pot, oval and word. 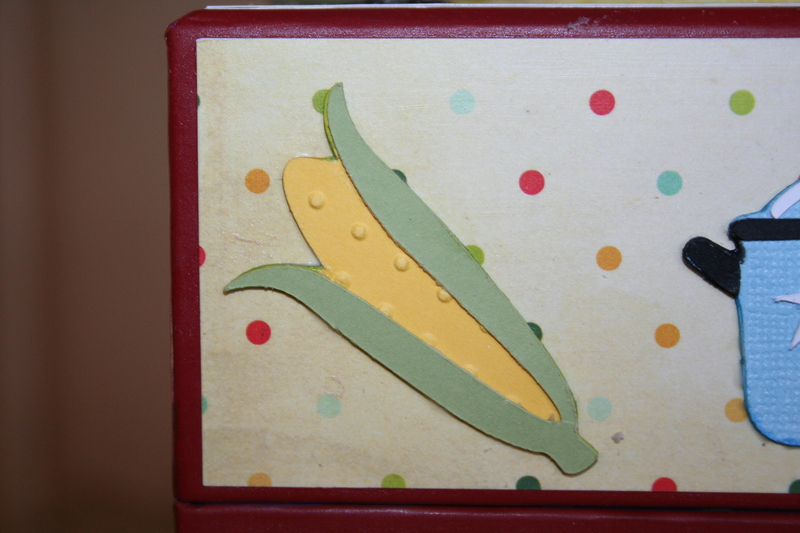 The dot Cuttlebug folder was used on the corn to make it look like kernels. I inked the edges of all cut outs and attached them with Modge Podge. Saw a posting for a contest from Cosmo Cricut so I thought I would enter. 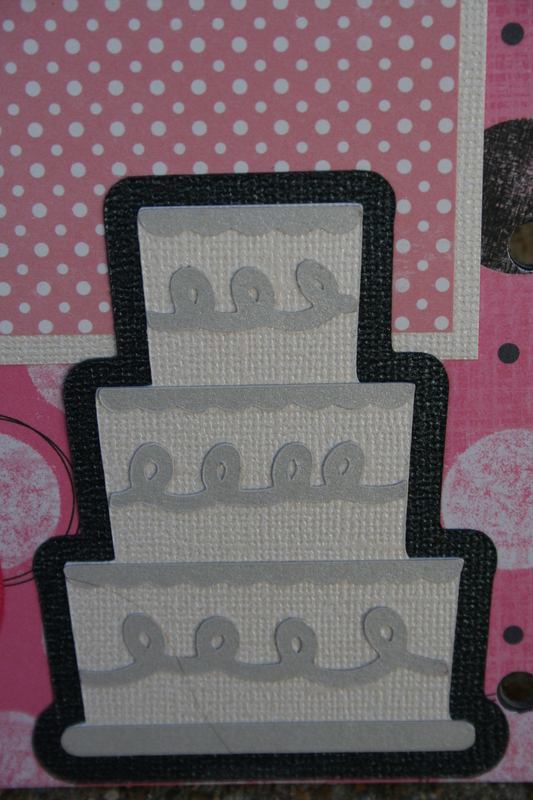 The patterned paper is from Cosmo Cricut. 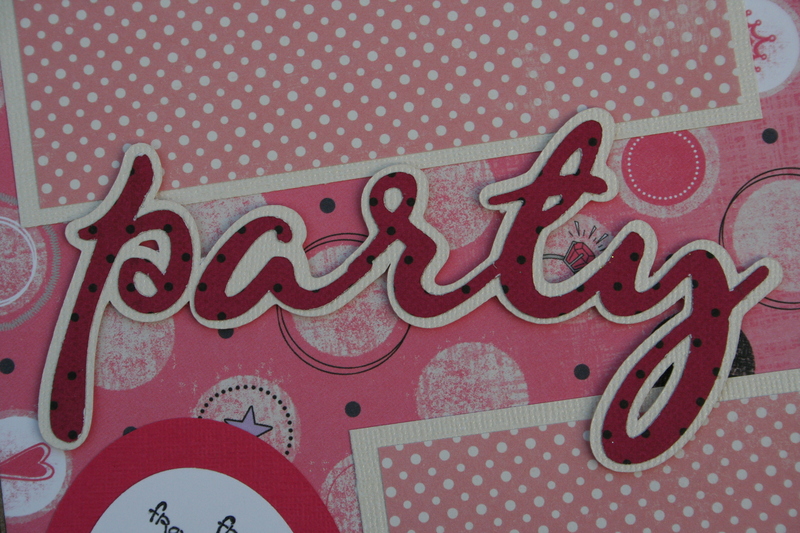 Stamps, ink, jewelry punch and twine are from Stampin UP! 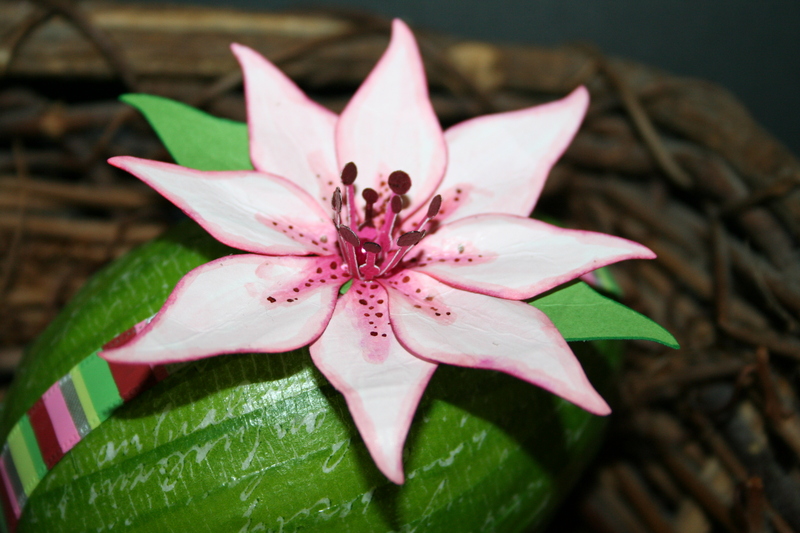 Ok, I know I have not done an entry in blog in forever. I don’t know what is going on this year! I am going to try to do some catching up. 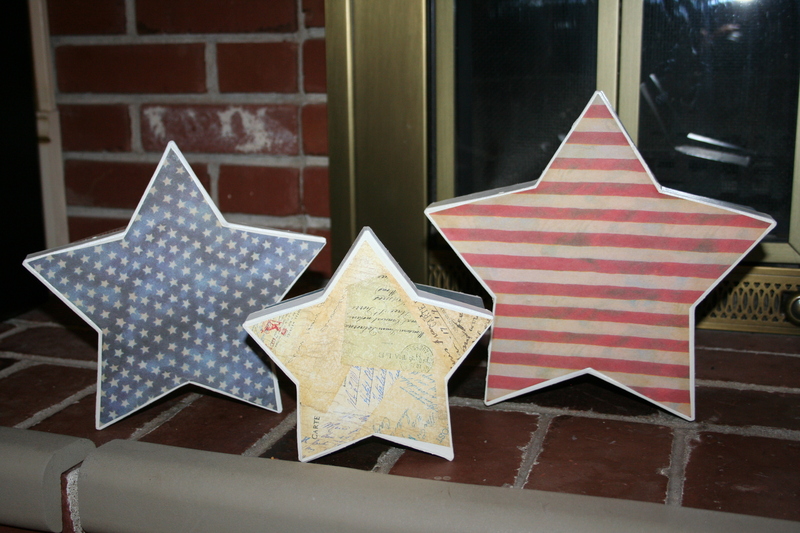 First, I am going to show you a quick and easy project I did for the fourth of July (my DD’s birthday). 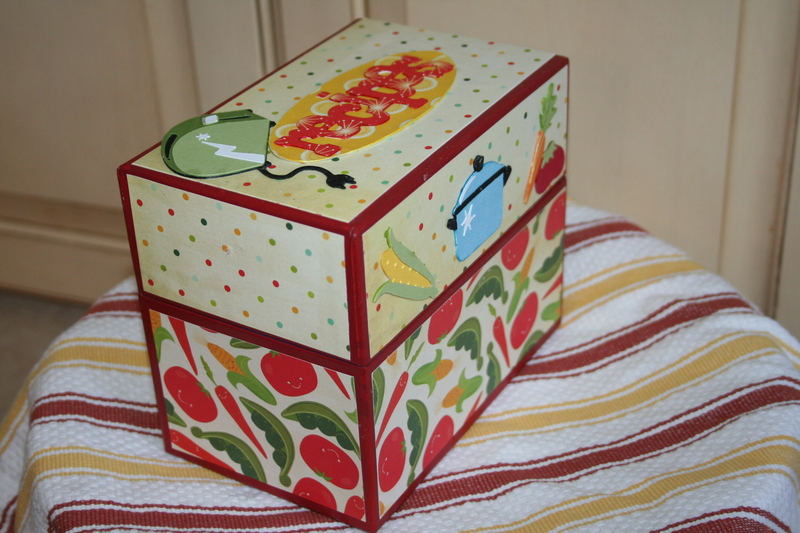 I decorated star-shaped paper mache boxes. I believe I got them at Hobby Lobby. The paper used was open stock from there as well. 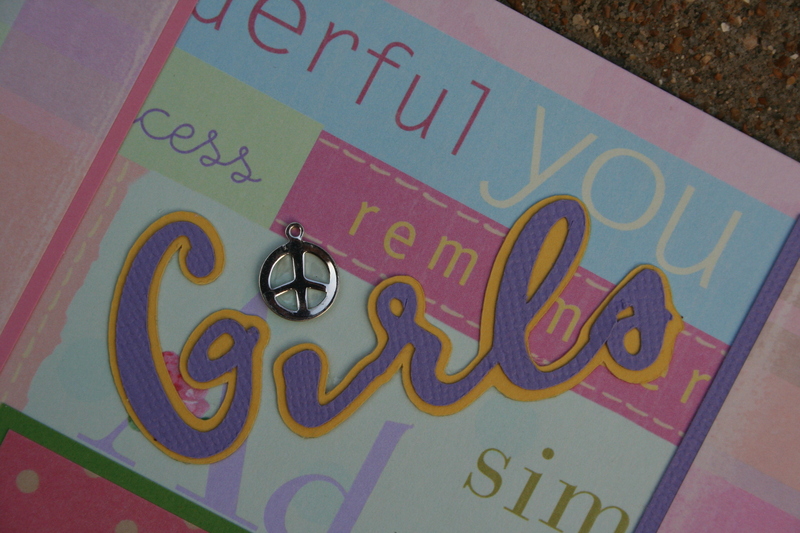 After measuring and cutting the paper, I adhered it with Modge Podge. Easy Peasy! 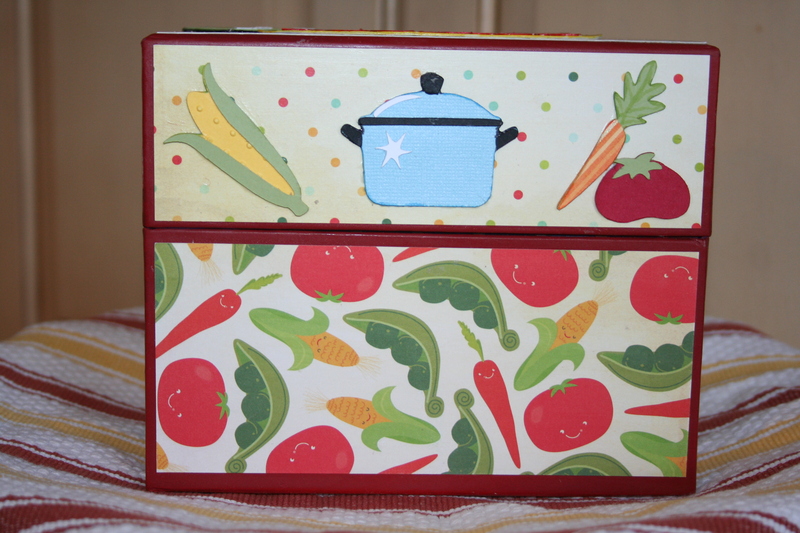 Decorative and great to put presents in. 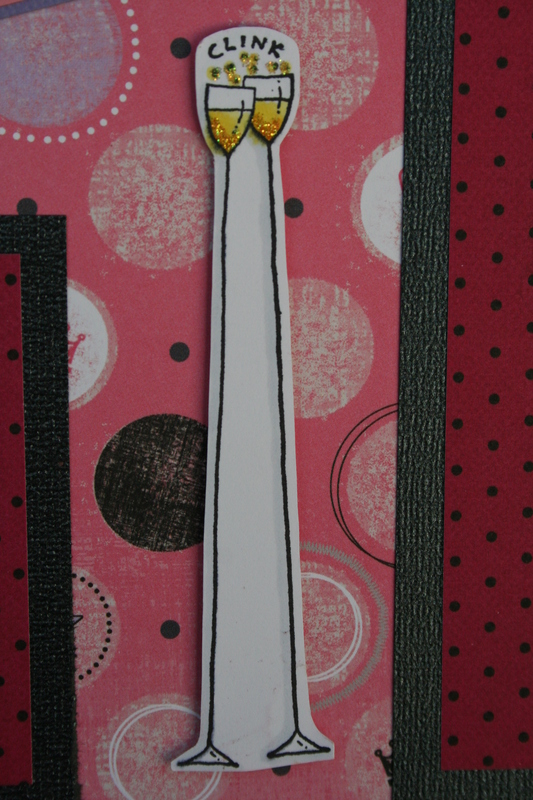 This is a vintage style card I made for my father-in-law. 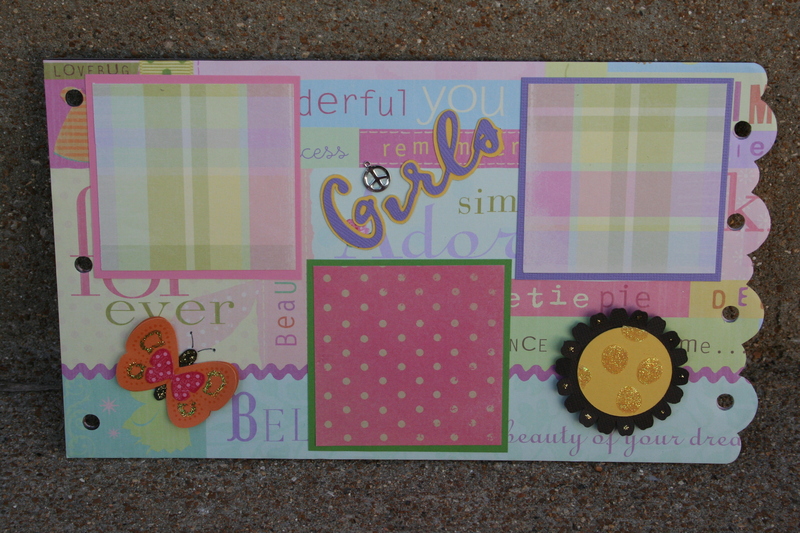 I used Waltzing Mouse Text-it stamp set as well as a Michaels $1 stamp. 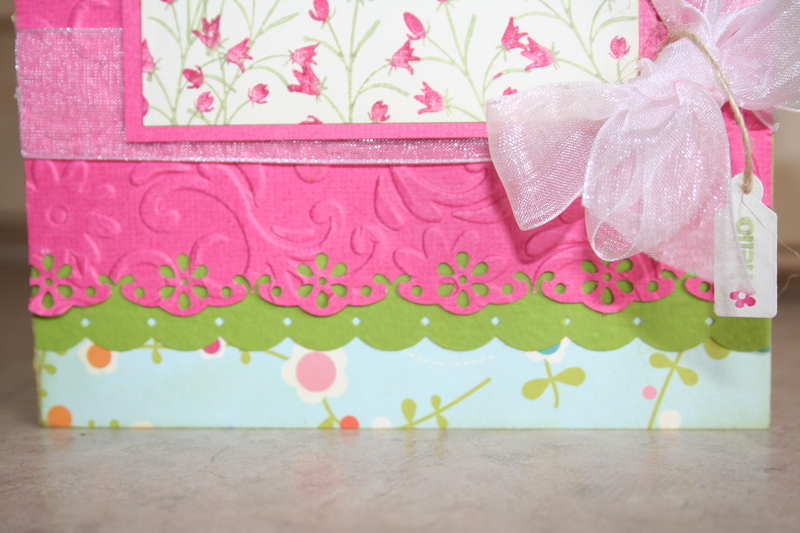 The patterned paper is from K & Company that was embossed with the swirls Cuttlebug folder. 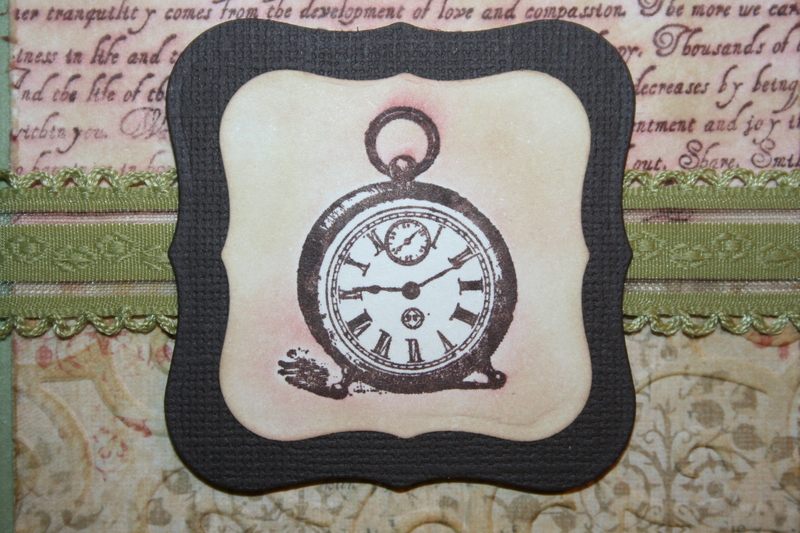 I antiqued the card with Tim Holtz Antique Linen ink (which mixed with the chocolate chip Stampin UP ink and gave the backgrounds a real cool red tint), and distressed the edges with scissors. 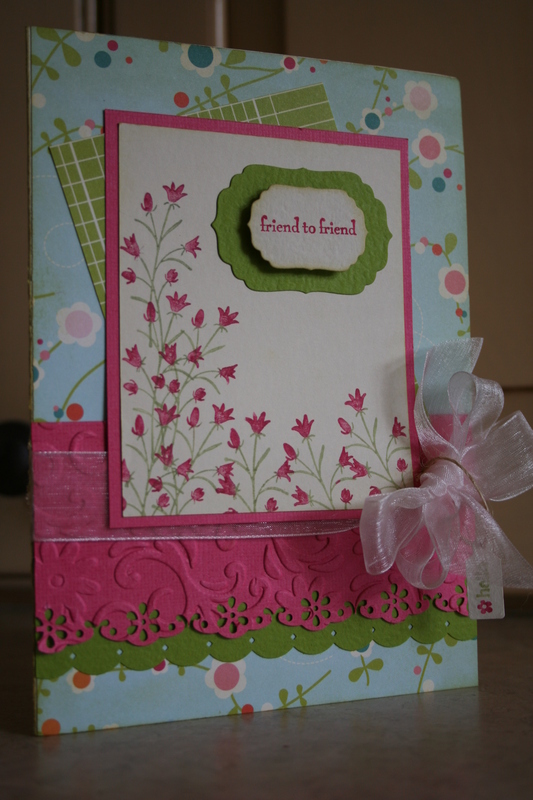 The die cuts are made with Spellbinders and the Cuttlebug. The ribbon is from Archievers. Hello! I haven’t been slacking off. 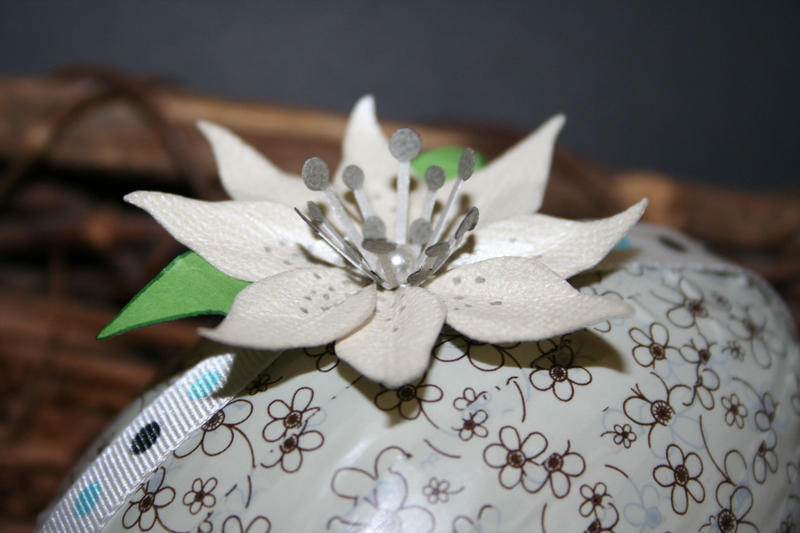 I have been creating, but just can’t seem the find the time lately to take pictures and/or post! 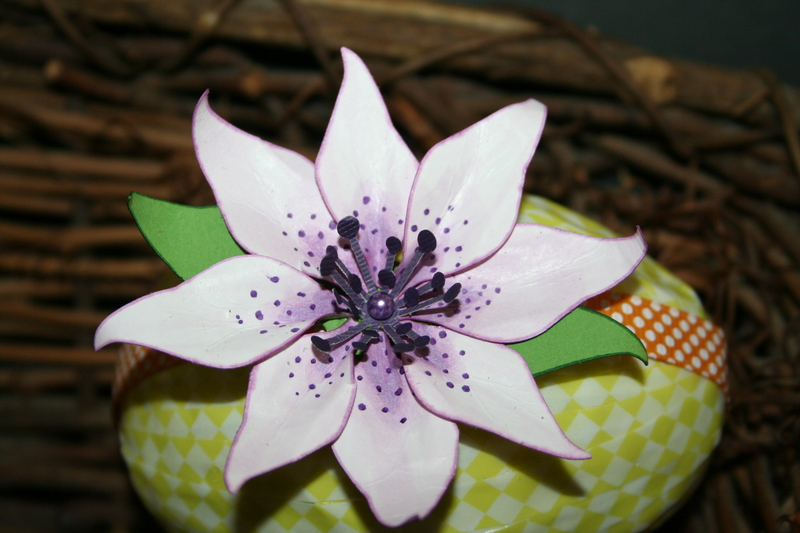 I made these Easter Eggs for a table decoration at my in-laws. They were super easy and pretty cute if I say so myself! 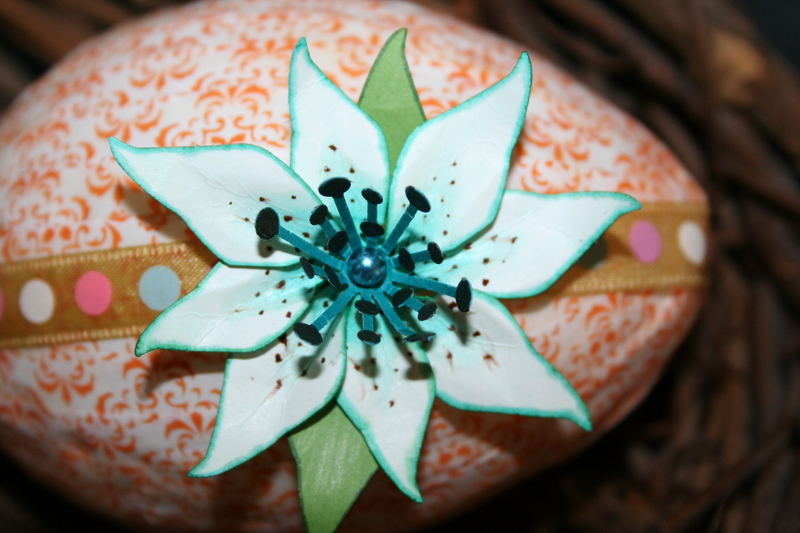 I used different designs of paper tape to cover the eggs and sealed it with Modge Podge. 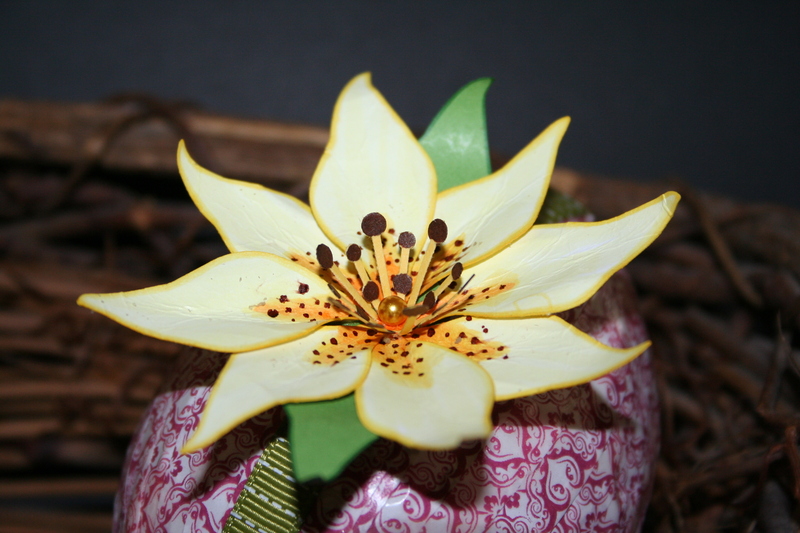 Then made flowers with McGills botanical lily punch, copic markers and decorative top straight pins. Well, this is what I have been working on for the last couple of weeks. 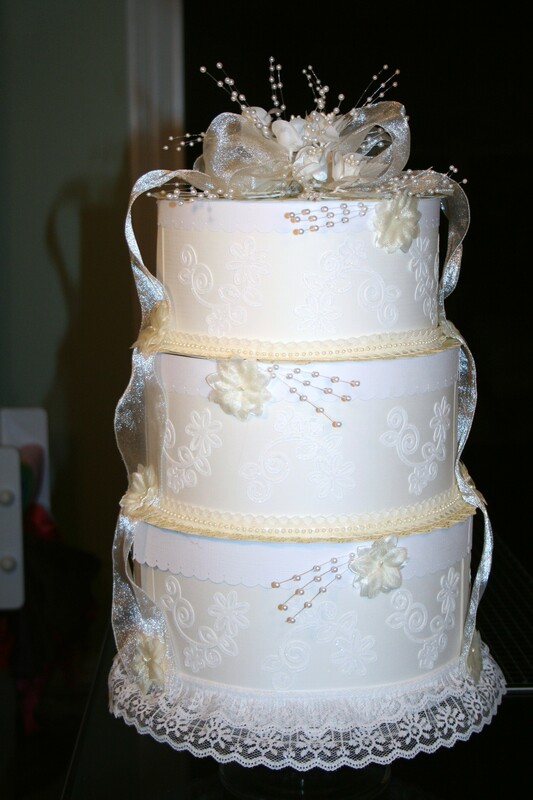 A wedding cake made of paper. 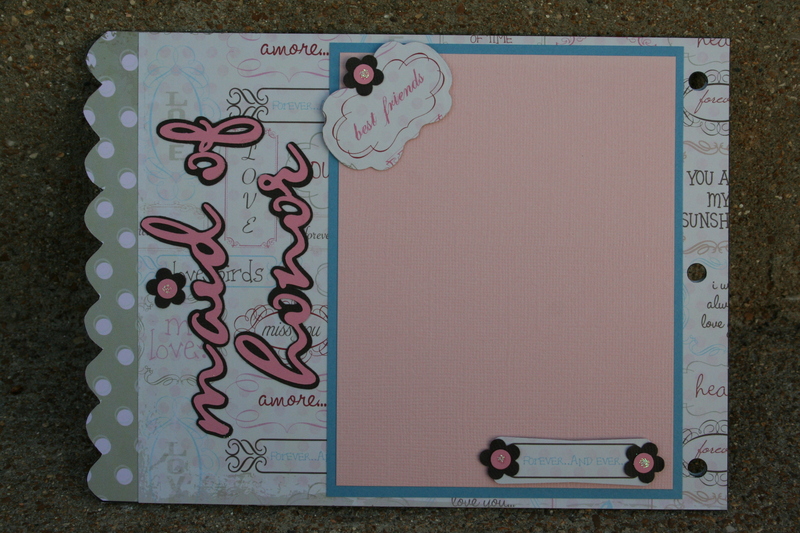 I saw the idea in the new Feb/Mar 2011 Cricut Magazine. 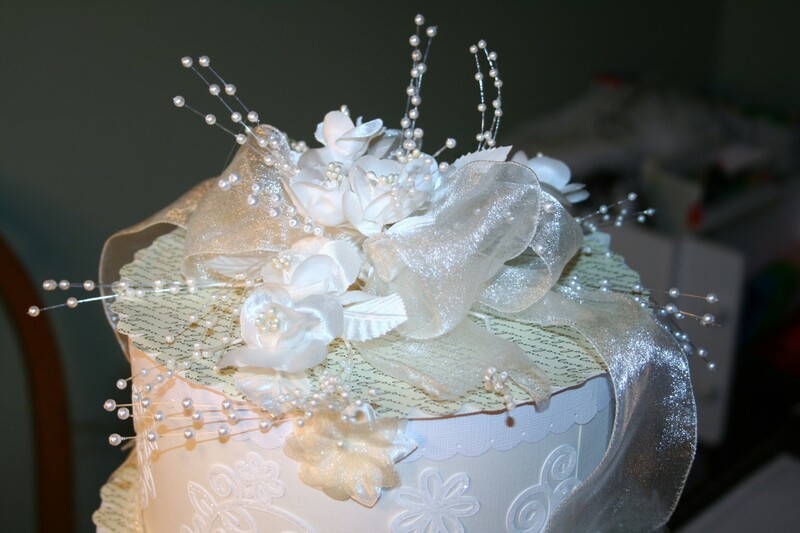 I thought it would be perfect as a centerpiece for my sister-in-law’s Bridal Shower this past weekend. It was a lot of fun to make! I tweaked a few things from the one in the magazine. It’s my daughters 10th birthday today! I can’t believe I have 2 children in double digits. 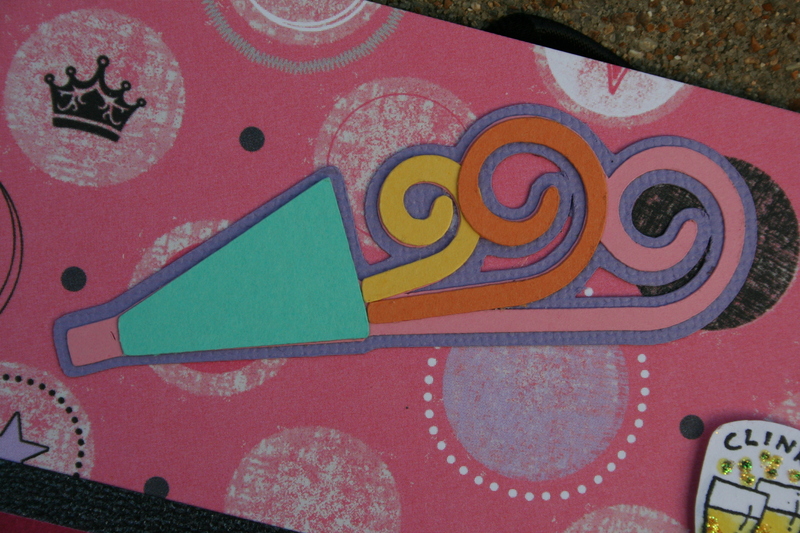 I made her card using Waltzing Mouse sketch for this week. I really loved how it turned out! 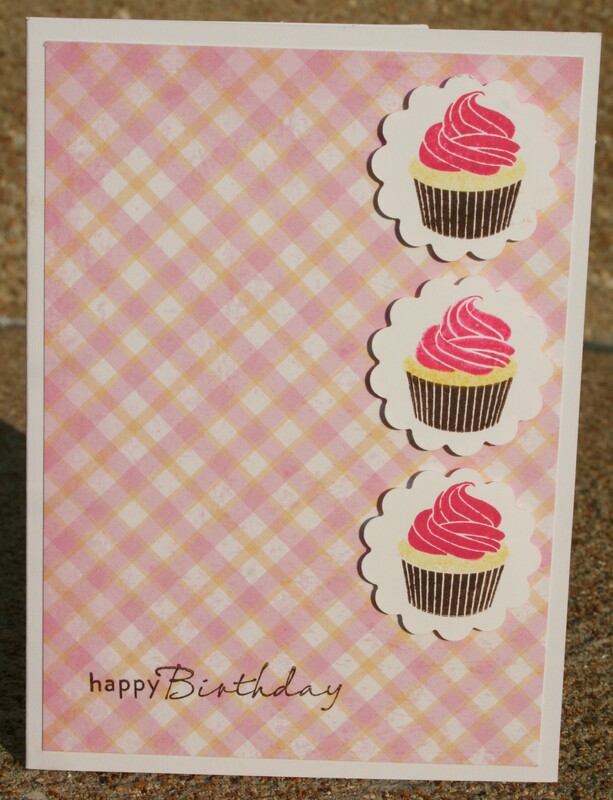 I used patterned paper from DCWV’s In the Kitchen stack, the cupcake and sentiment stamps are from Waltzing Mouse’s Frame It set and inks ( Chocolate Chip, Delightful Daffodil, Mambo Melon) are from Stampin Up. Easy Peasy, but very pretty. This is the most ambitious project I have done (although stayed tuned for a future entry). 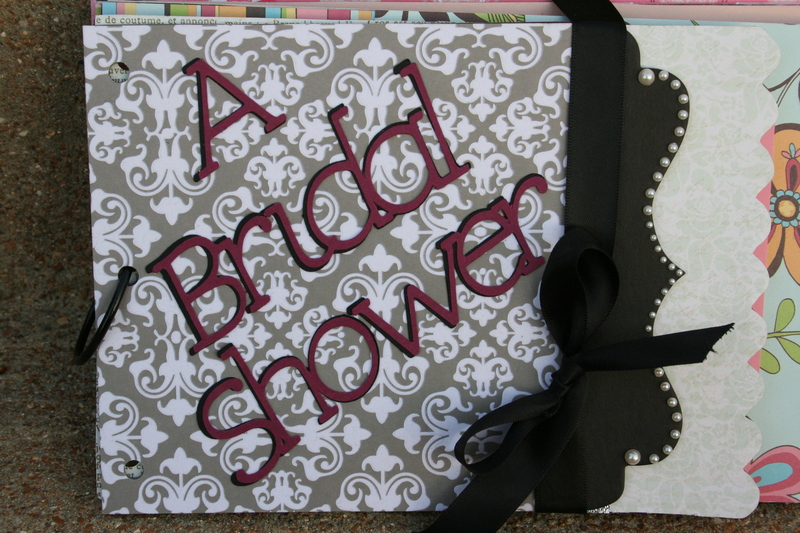 My sister-in-law is getting married (you may remember I recently posted the invitations I made for her) and I decided to make an album of her bridal shower for her. 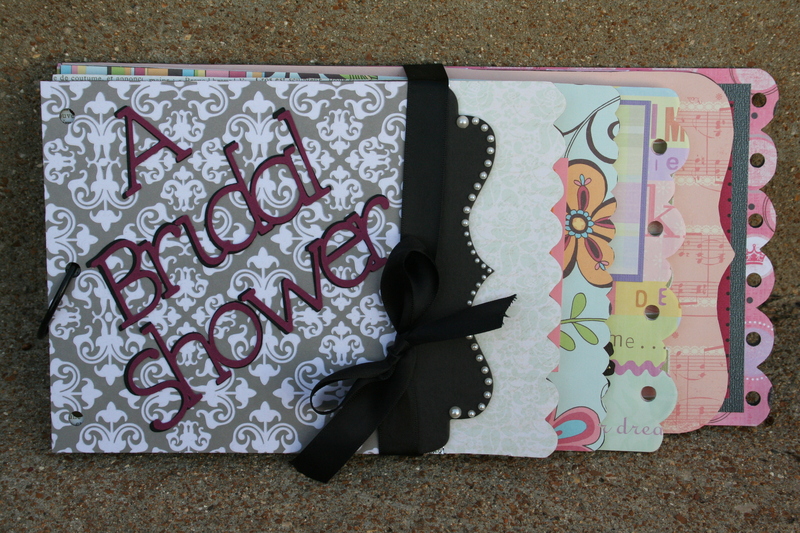 I am not a scrapbooker. 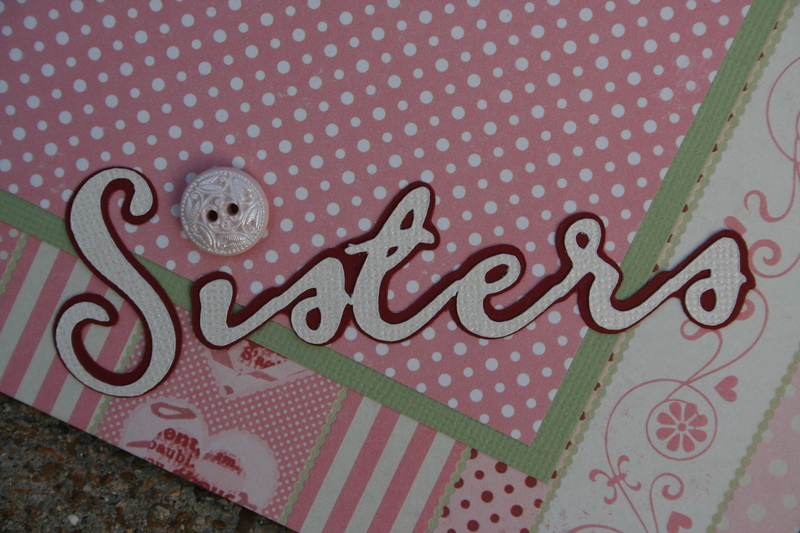 Cards are what I spend most of my time working on. That being said – I really had fun putting this together! It took a long time but I want to make another one. 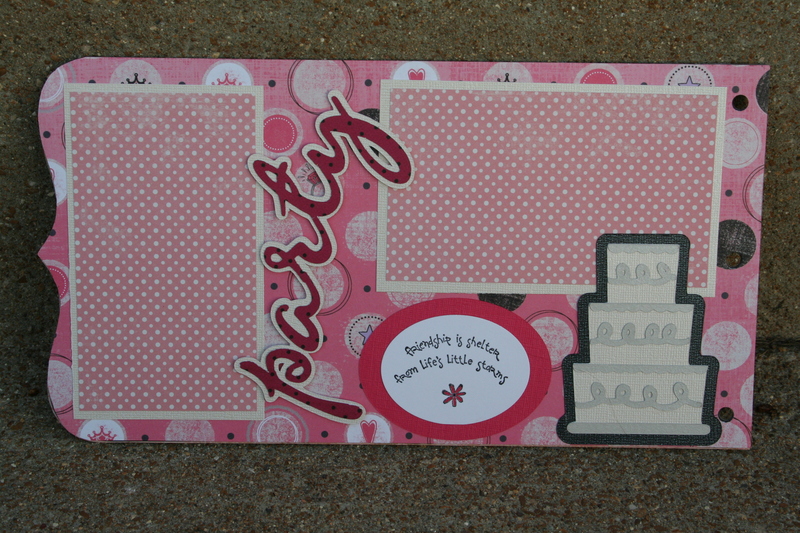 This next page is entered into the Peachy Keen stamps challenge. Hello! 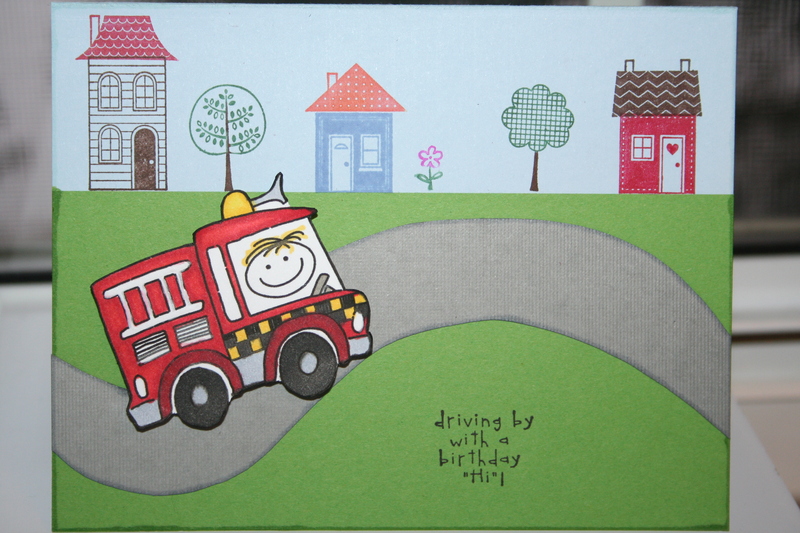 I made a boy (or girl, if she likes fire trucks!) birthday card following this weeks Waltzing Mouse Sketch Challenge. 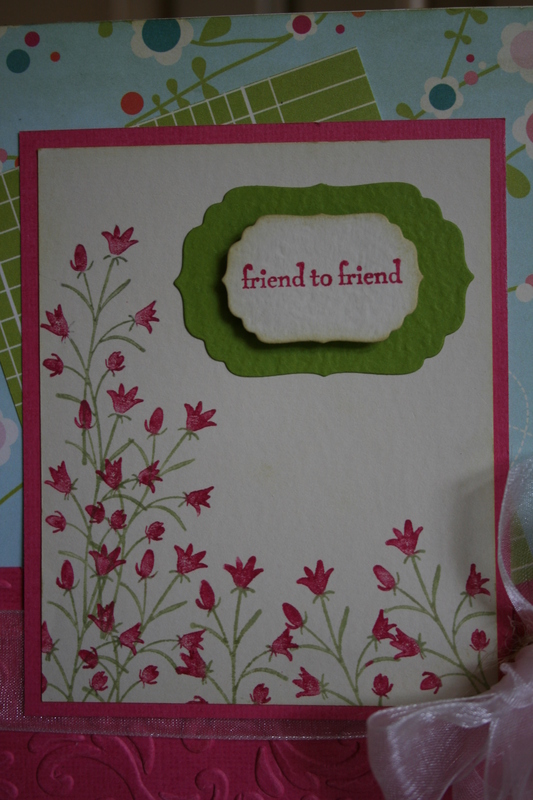 I used Stampin Up Good Neighbors stamp set for the houses, trees and sentiment. 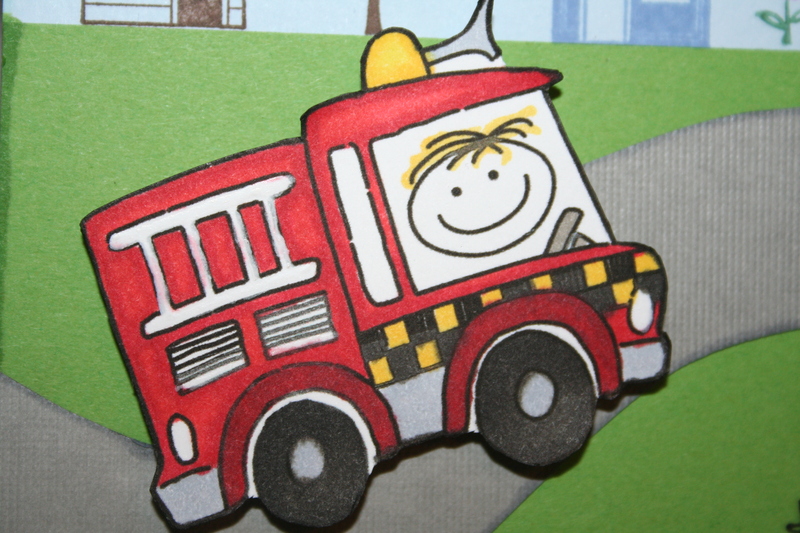 The fire truck is a digital stamp from Waltzing Mouse that you can find in the Help for Katie donation set (see the side bar for info). I colored the truck using Copics and hand cut the road. 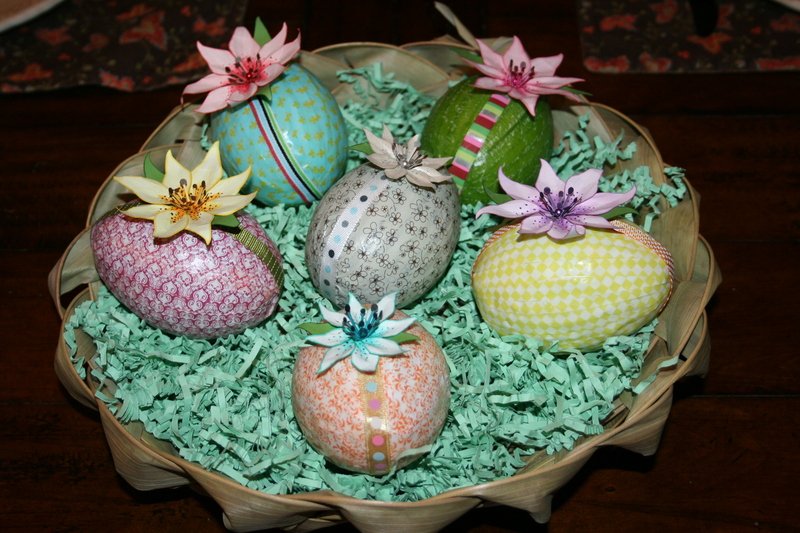 Anyway, I haven’t been totally neglectful of my craft time. 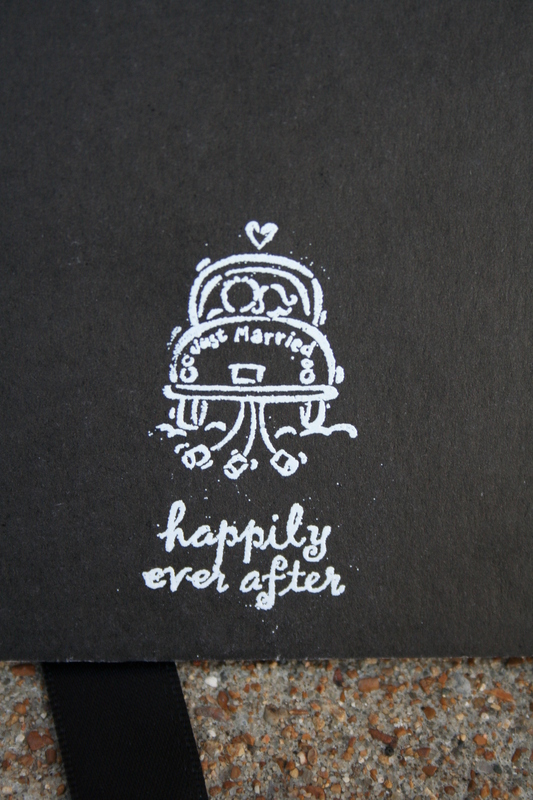 My sister-in-law got engaged and asked me to do her wedding invitations! What an honor! There was, however, a short turn around time – she is getting married in March. That is what I am posting for you today. 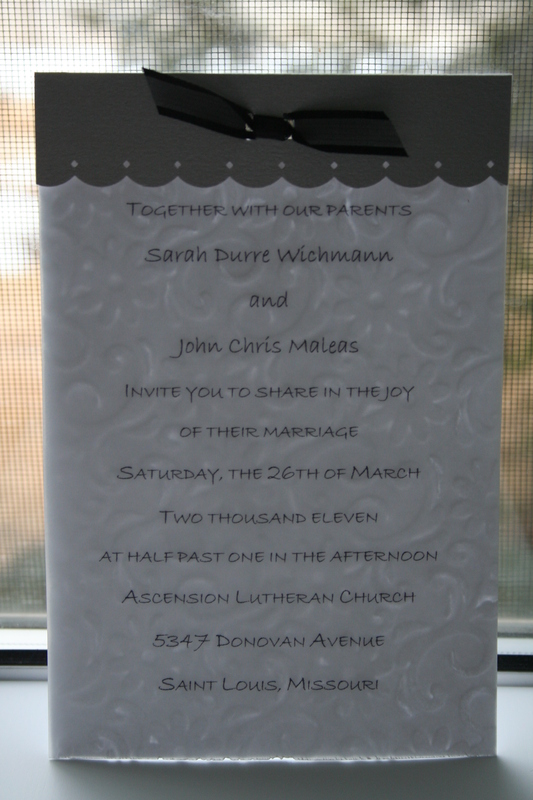 The invite part of the invitation consists of 3 layers. 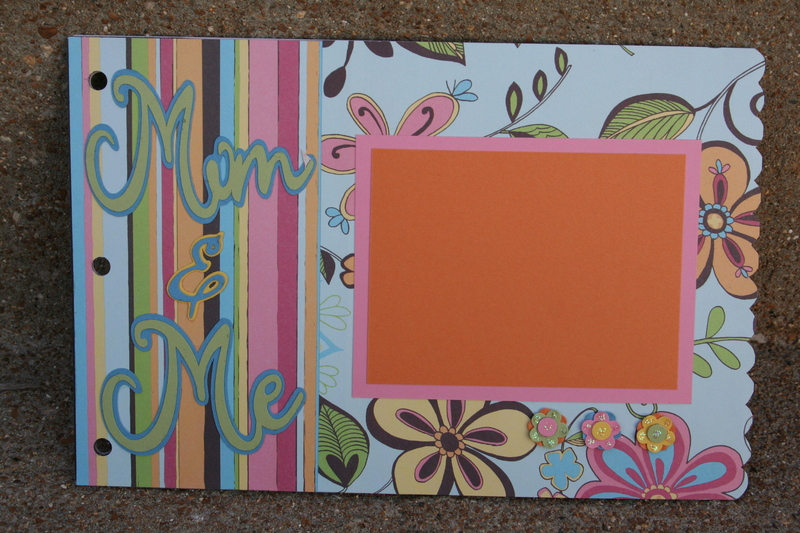 The back layer (4.25″ x 6.25″) was run through the cuttlebug using a flower embossing folder. 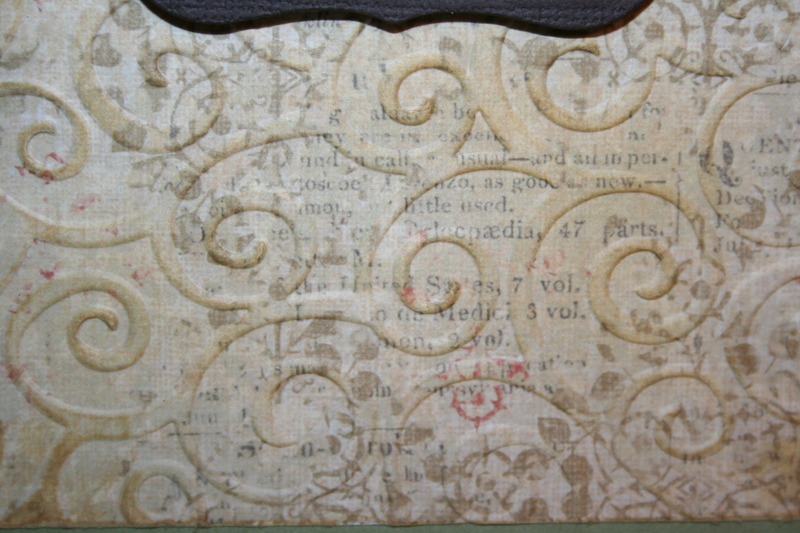 The middle layer was vellum cut at the same size. 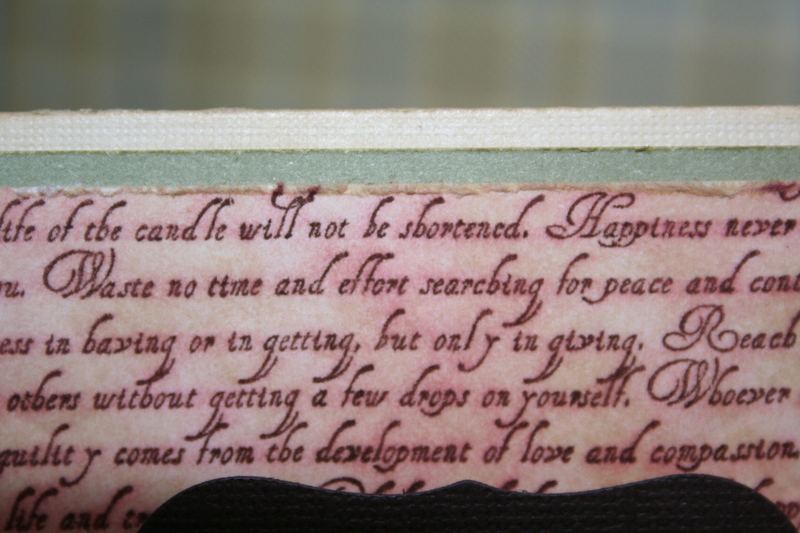 The ink was still wet on the vellum after running it through the printer so I used clear embossing powder to give the words a little dimension. 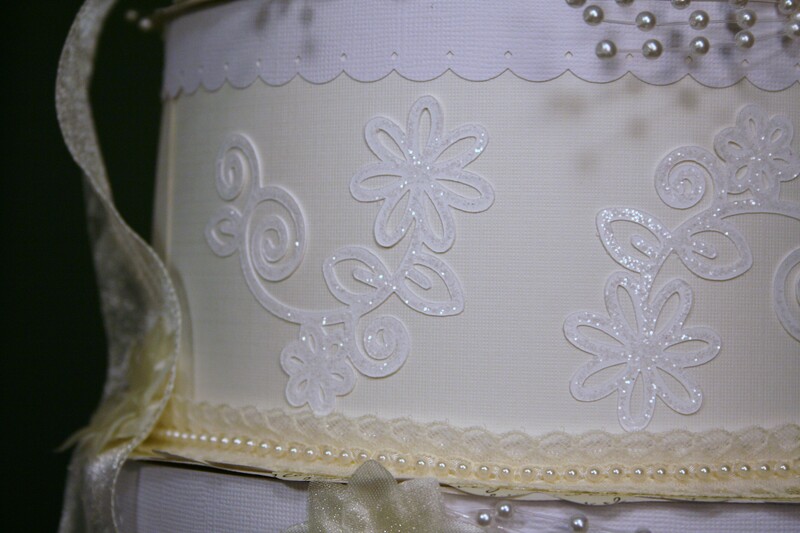 The final layer was made using a border punch. 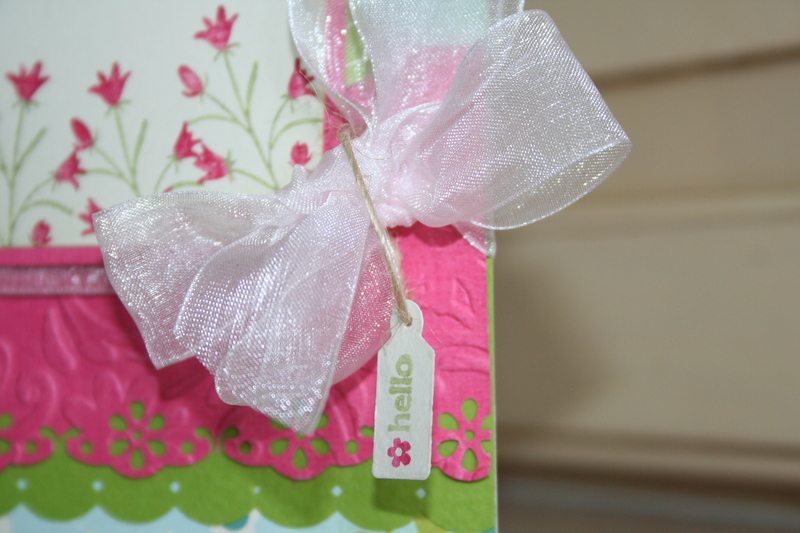 Then I punched two holes using my Stampin Up punch and put the ribbon through. 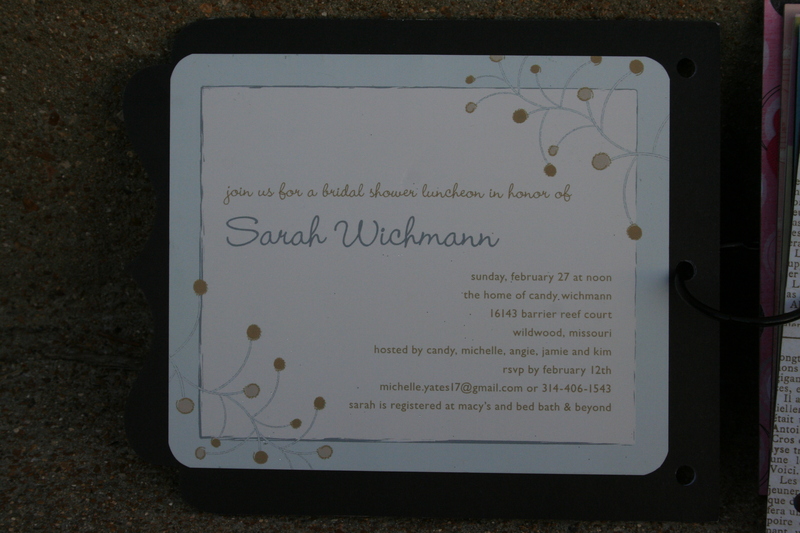 The reception card was the easiest to do. 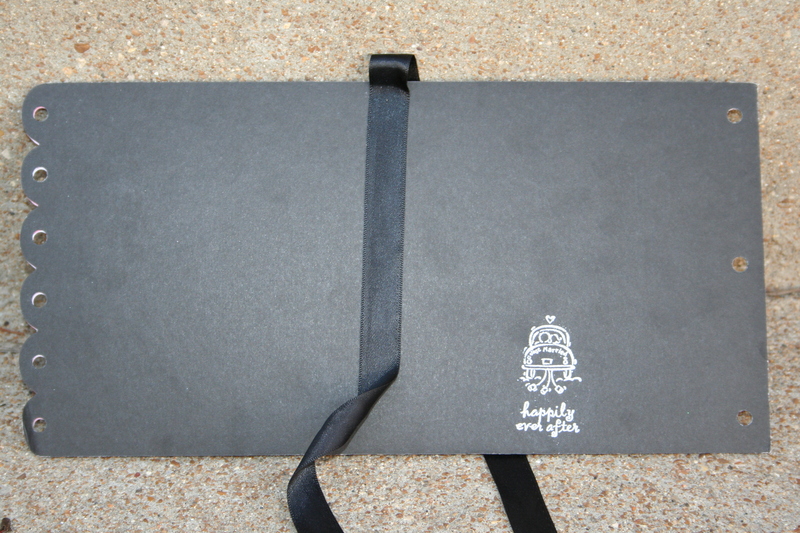 I was able to get 6 on an 8.5″ x 11″ paper. 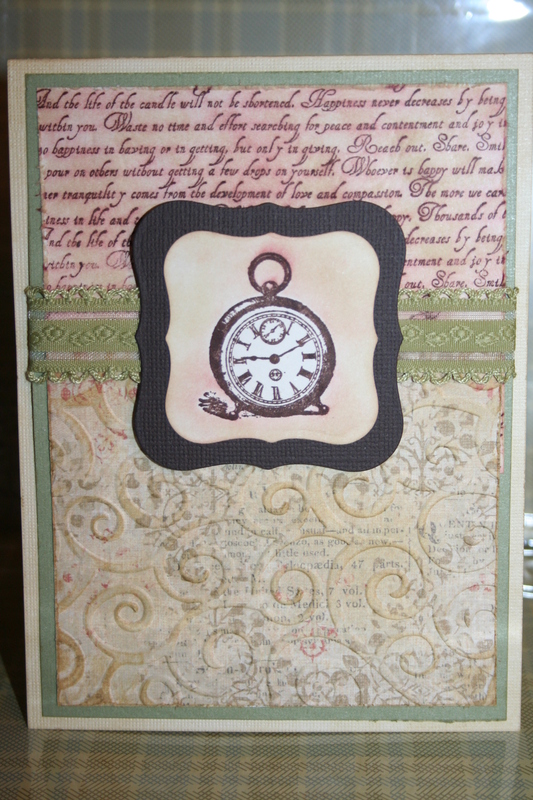 Then I used Waltzing Mouse Frame it square stamp to give a border. Finally, I cut them into squares. Easy Peasy! 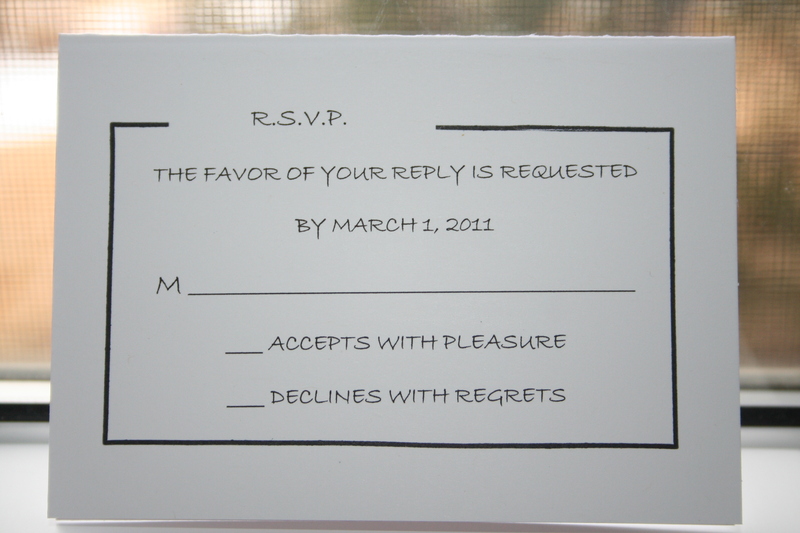 The reception card was a bit harder. 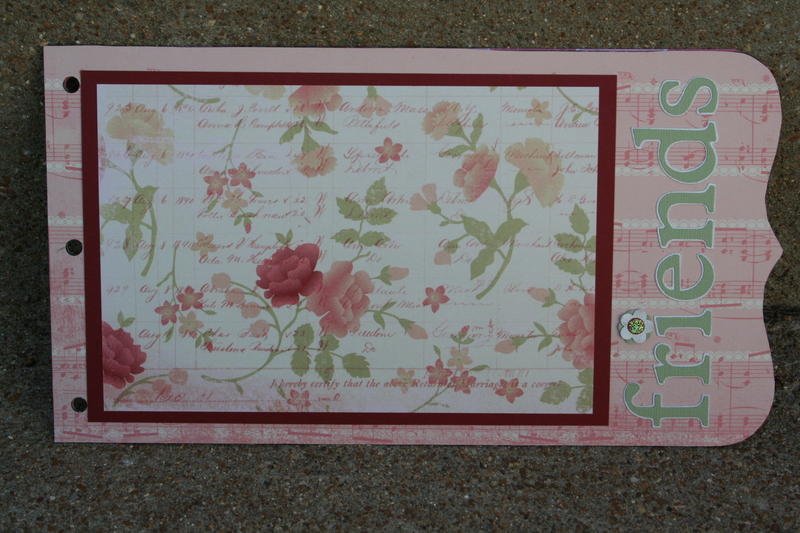 I bought the cards with envelopes so I had to make sure the printing was where I wanted it to be. 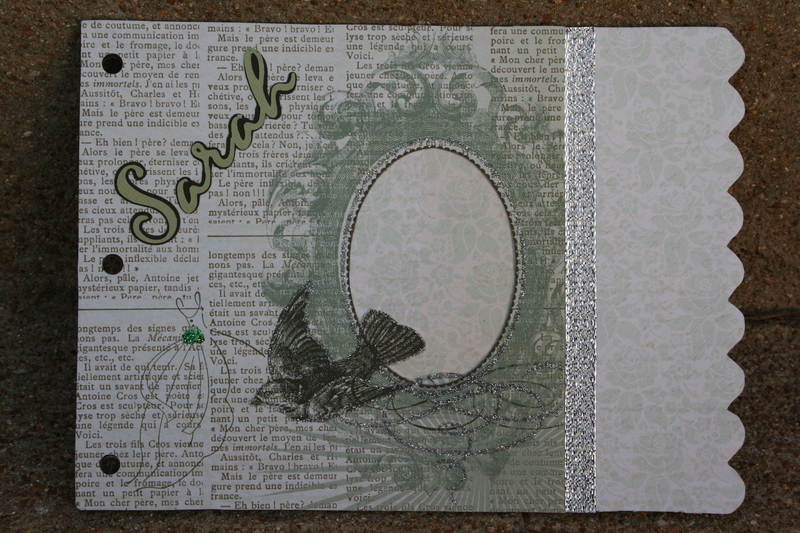 Then I stamped it with the Waltzing Mouse Frame It rectangle stamp. 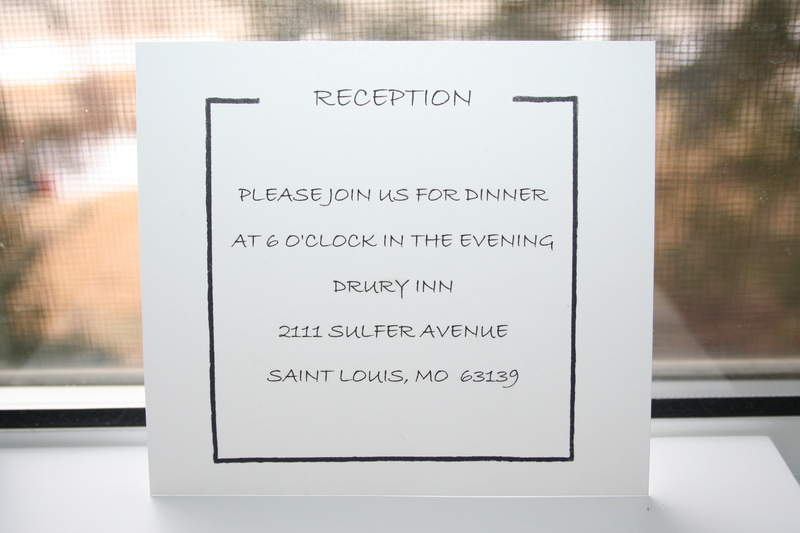 The final touch was to stamp each of the envelpoes (RSVP, Invite, and Mailer) with a Stampin Up flower stamp (Teeny Tiny Wishes) that coordinated with the flowers on the embossing folder.